Previous image, 43 total items. Next image, 43 total items. Whatever time you’ve put aside for this coastal city, double it. Kick back on sweeping beaches and count your neighbours on one hand. Experience local wildlife in the nature reserves or spot critters in the dappled light of the rainforest. It’s a bit kitschy, but when you visit Coffs Harbour, you should also see the Big Banana, one of the country’s best Big Things. Meet local Coffs Harbour dolphins, watch an exhilarating performance and even receive a whiskery smooch from a seal at this fun-filled and interactive zoo park. 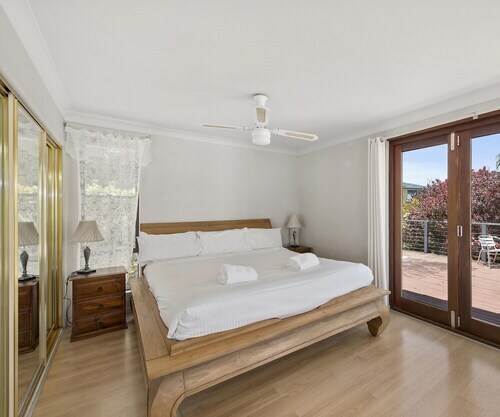 Offering direct access to the beach, this Korora hotel is 2 mi (3.1 km) from Solitary Island Aquarium and 2.1 mi (3.4 km) from Big Banana Fun Park. Diggers Beach and Bruxner Park Flora Reserve are also within 3 mi (5 km). 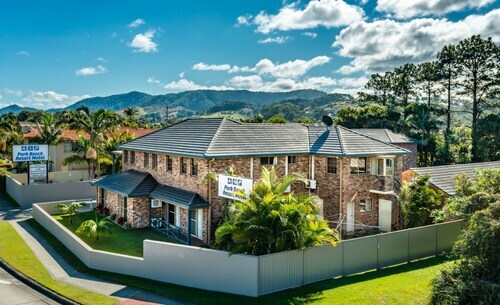 Offering direct access to the beach, this Emerald Beach apartment building is within 9 mi (15 km) of Guru Nanak Sikh Temple, Woolgoolga Beach, and Woolgoolga Golf Course. 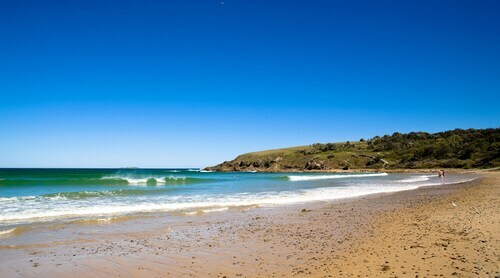 Diggers Beach and Park Beach are also within 12 mi (20 km). Nestled on the beach, this Korora apartment building is 2.8 mi (4.5 km) from Solitary Island Aquarium and 3 mi (4.8 km) from Big Banana Fun Park. Diggers Beach and Park Beach are also within 6 mi (10 km). 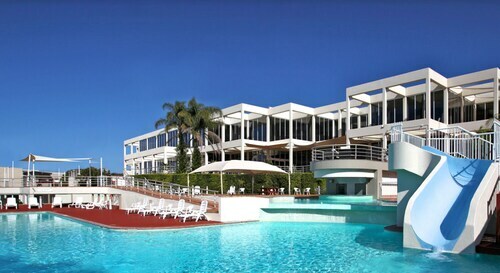 Situated near the airport, this motel is 0.1 mi (0.2 km) from Park Beach and 1.5 mi (2.4 km) from Big Banana Fun Park. Tabatinga Family Fun Centre and Dolphin Marine Magic are also within 1 mi (2 km). 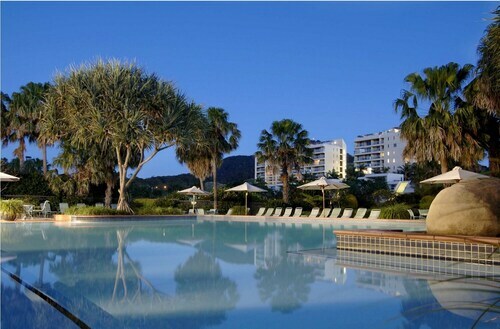 Offering direct access to the beach, this Coffs Harbour hotel is within a 15-minute walk of Big Banana Fun Park and Diggers Beach. Park Beach and Dolphin Marine Magic are also within 3 mi (5 km). 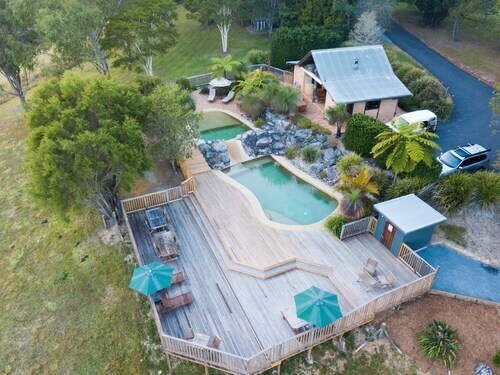 Situated in a rural location, this cottage is within 12 mi (20 km) of Coffs Central, Big Banana Fun Park, and Coffs Harbour Showground. Coffs Harbour Regional Gallery and Coffs Harbour Regional Museum are also within 12 mi (20 km). Situated near the beach, this vacation home is within a 15-minute walk of Diggers Beach and Big Banana Fun Park. Park Beach and Solitary Island Aquarium are also within 1 mi (2 km).